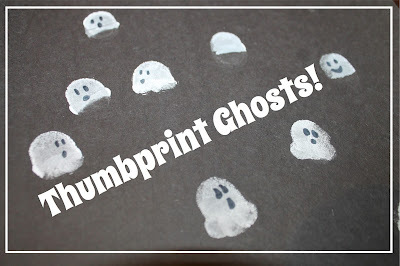 Three Ghost Friends: Easy Thumbprint Ghost Craft + Other Halloween Thumbprints! Easy Thumbprint Ghost Craft + Other Halloween Thumbprints! Today is Ed Emberley's Birthday (October 19). My daughter and I got out all of his drawing books including ED EMBERLEY'S COMPLETE FUNPRINT DRAWING BOOK. 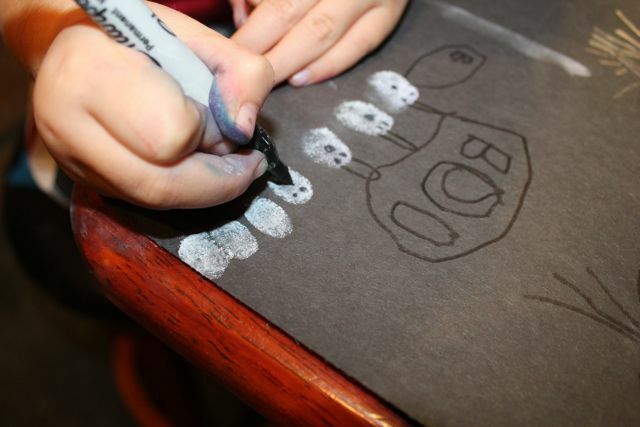 We started making thumbprint animals when I remembered I had a white stamp pad from our ghost stamping activity. 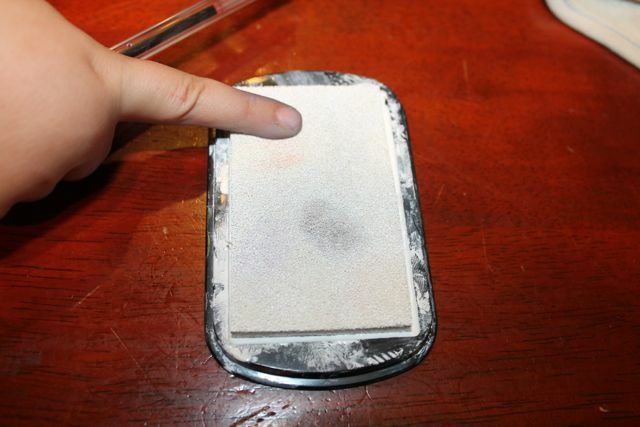 My daughter pushed her finger on the stamp pad. 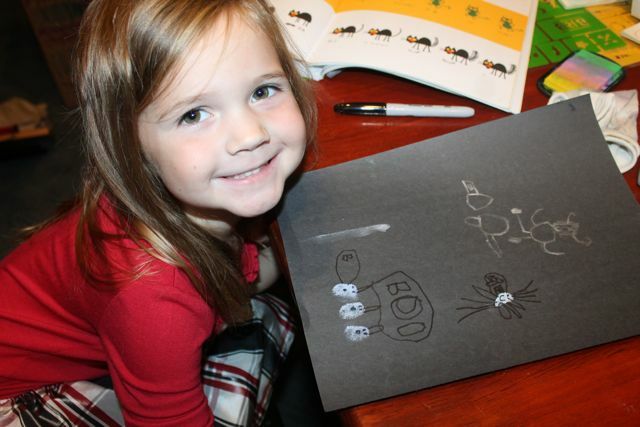 She said, "Look, Dad! 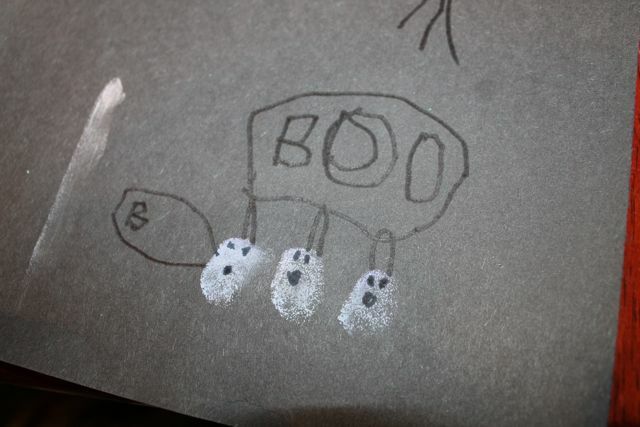 They are saying BOO!" I guess the ghosts invited more friends because she stamped more! 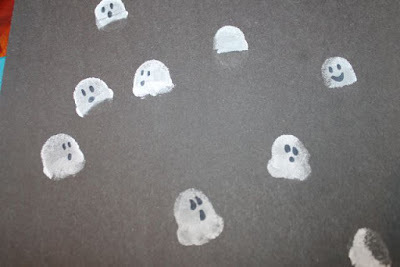 She added ghost faces with a black Sharpie. I experimented too. If I inked half of my thumb it made a nice ghost shape. 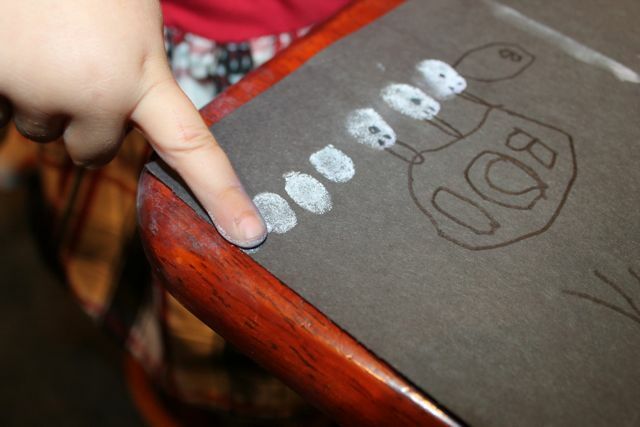 For a few ghosts I inked the tip of my finger to add bumps to the bottom of the ghosts. 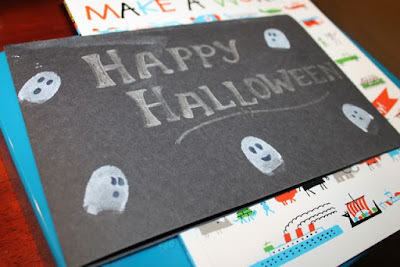 Thumbprint ghosts would be a fun way to make a Halloween card for a friend. 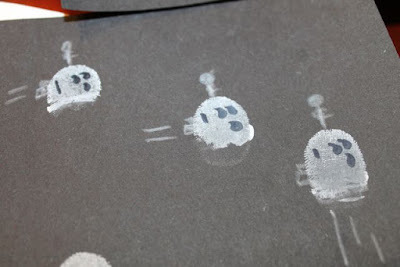 I made a few Thumbprint BATTLE BOOS too. I used a white colored pencil to add the antenna and zoomers! Ed Emberley's books kept us busy all morning. 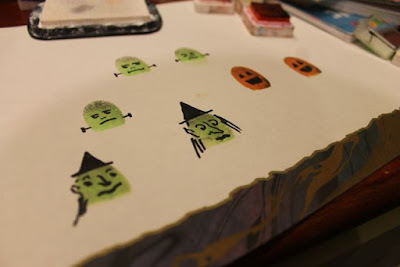 Try making other thumbprint Halloween creatures too!